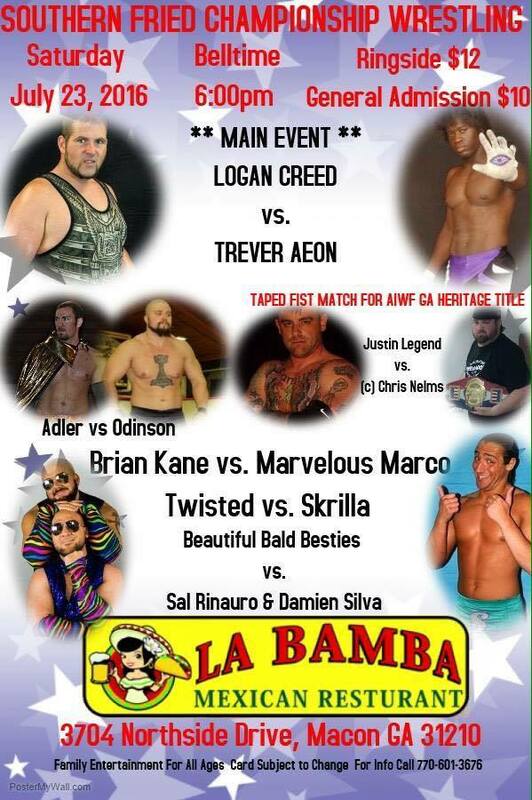 La Bamba Mexican Grill at 3704 Northside Dr., Macon is hosting a live outdoor wrestling event on Saturday July 23. 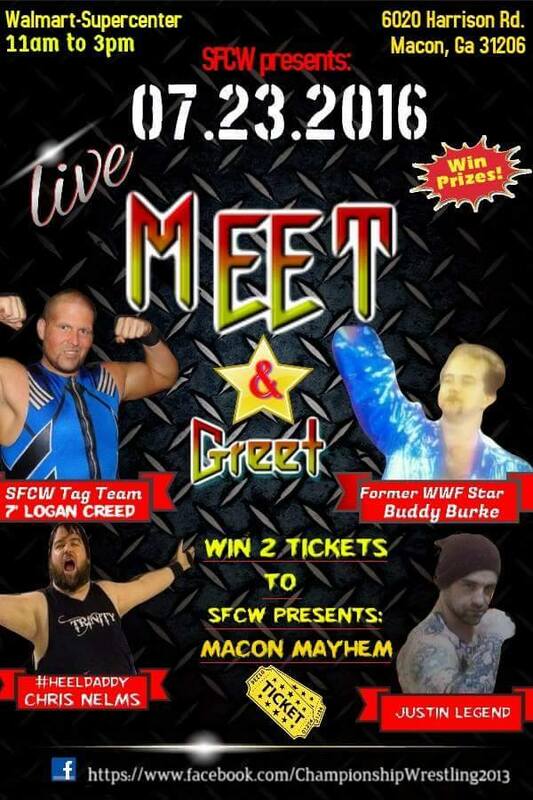 The event starts at 6 PM and will feature a number of matches, including the main event between Logan Creed and Trevor Aeon. Match tickets are $12 for ringside seats and $10 for general admission and can be purchased on-site. Small wrestling events like this are a throwback to the early days of Wrestling before large televised events like those of the WWE. Wrestlers often get their start and develop their characters as heels (villains) or faces (heros) in such venues. The organizers are also having a meet and greet prior to the days matches at the Walmart on Harrison Rd. That event starts at 11 AM and is open to the public. For more information, call 770-601-3676.